The state of Illinois offers a diverse selection of college scholarships and grants that will catch the eye of all students, no matter what their intended field of expertise may be. The foundation of Illinois’ commitment to higher education is the Illinois Student Assistance Commission (ISAC). ISAC was started by state lawmakers in 1957 to assure that everyone who wanted to continue their education would not be hindered from doing so because of financial difficulties. In addition to being intricately involved with administering educational programs, ISAC is also a financial aid center offering assistance with applying for and obtaining all types of financial aid, government grants and specialized scholarships. Currently, there are a host of scholarships and grants available enabling people of all ages to continue their education. Since scholarships and grants vary on many accounts, there are two major factors that must be considered to begin the research: the state of residence and the state of attendance. Once this is decided, applicants should then search for grants and scholarships that are available in these areas. It should be noted that most schools are equipped with representatives who use financial aid calculators to find the appropriate financing for each student. 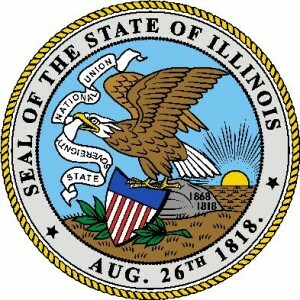 Following is a description of the scholarships and grants currently available in Illinois. The Jewish United Fund/Jewish Federation’s Chicago Community Israel Program (CCIP) and the Naftali Steinfeld Memorial Scholarship Fund provide scholarships for high school students registered in approved Israel experience programs based on financial need. The intent of this scholarship is to further understanding and devotion to the Chicago Jewish community and Israel, and to cultivate Jewish identities. The application process occurs twice a year. First, applications are available in mid-January and must be completed and submitted by March 1 for the summer and fall curriculums. Applicants should check with officials to find out when they will be notified of the results. Next, applications are available in mid-September and must be completed and submitted by November 1 for winter and spring curriculums and applicants are notified of the results by the end of December. be committed to partaking in communal Jewish activities after returning from Israel. Students who have never been to Israel are given top priority. However, those who have been to Israel may still apply. For more information, applicants should visit www.juf.org. A two-year scholarship is awarded by The Chicago Police and Firefighter Training Academy (CPFTA) to cadets of the four-year program (two years in high school and two years in college). Provide documentation supporting stated awards and honors, and show proof of participation in student organizations and activities. Students are guaranteed a scholarship to enter one of the many city colleges in Chicago if they meet or exceed the above requirements. Also, through the FBI and the CPD fraternal orders, other scholarships may be available as well. For the Fall semester, all applications must be received by August 1 and the for the Spring semester, all applications must be received by December 1. This scholarship must be used only in the Fall and Spring terms; not available for use during the summer semester. It’s provided for six consecutive semesters but to receive it, students must apply for renewal each semester and maintain the required grade point average. Students who receive scholarship approval will be awarded full tuition and fees for the period of eligibility. The Chicago Police and Firefighter Training Academy Scholarship is a tuition and fee-based scholarship, which means that students whose tuition expenses are covered by other financial awards (i.e., Pell Grant, Monetary Award Program (MAP), etc.) are not eligible to receive this scholarship. However, this scholarship will pay the remaining amount not covered for students receiving financial aid. The National Air Transportation Association (NATA) sponsors a scholarship program and the Dan L. Meisinger Sr. Memorial Learn to Fly Scholarship fund is the latest addition to this program. Dan L. Meisinger Sr. had a 63-year career in aviation and this scholarship was set up in memory of his life and to honor him. Qualified students will receive an annual flight training scholarship in the amount of $2,500. Upon approval, checks are sent to the recipient at the address stated on the scholarship acknowledgment form and these checks must be endorsed by both the student and the applicable flight school. All who are interested must submit a completed application along with proof of their grade point average by the last Friday in November. A round of semifinalists will be selected by a scholarship selection committee and submitted to the National Air Transportation Foundation (NATF); their decisions are made without regard to religion, race, gender, national origin or disability. Those chosen as semifinalists will be notified in writing by the end of April and if necessary, they will be asked to submit further information and data that will be used to assist the NATF with making their final selections. All other applicants will be notified in writing by the middle of May. The names of the recipients are announced publicly on the NATA website at www.nata.aero/About-NATA.aspx, in the Aviation Business Journal (published by NATA), and other general aviation magazine publications. Must be a college student who is currently enrolled in an aviation program. Recipients are obligated to submit copies of all pertinent training records and any other relevant information. If there are any tax liabilities to deal with, it is the sole responsibility of the recipient to handle. Students should remain mindful of the fact that the NATF has the right to review procedures and conditions and make changes at any time if they deem it necessary. However, if changes are made, it will not affect previously approved scholarships. The purpose of the Community Bankers Association of Illinois (CBAI) Foundation for Community Banking is to support and serve member banks and to increase the public’s awareness of community banking contributions and its philosophy. One of the ways CBAI promotes its goal is by offering several scholarship programs that provide opportunities for students to acquire higher education at minimal to no cost. For complete details, all who are interested should go to www.cbai.com. Following are a listing of the available CBAI scholarships. Through this program, the CBAI provides 13 scholarships each year to the top performing high school seniors. For 2011, a total of $16,500 in scholarships was available and up to $4,000 can be won as a result of submitting the best two-page essay. All essays must end with a summary or conclusion. A participating CBAI member bank must sponsor each applicant, so to inquire about a local member bank, applicants should email bobbiw@cbai.com. Originally, children of bank employees weren’t eligible to participate in the CBAI scholarship program. The Foundation has now extended the scholarship program by creating the “CBAI Scholarship for the Children of Community Banking” and the William C. Harris Memorial and the SHAZAMÆ Scholarships are two such awards. These awards are only available to children and grandchildren of CBAI member bank employees, and part-time bank employees of eligible banks. Part-time employees include students working in an eligible bank who are entering their freshman year of undergraduate school, or who are entering a trade school immediately following high school graduation. A $4,000 scholarship is awarded for the William C. Harris Memorial Scholarship and a $2,000 scholarship is awarded for the SHAZAMÆ Scholarship. Both are awarded each year and are paid in intervals of $1,000 per year for as long as the student remains eligible by meeting the grade requirements and full-time student status. In order for this program to work, the eligible banks must contribute or pledge a $1,000 minimum, and for every $1,000 pledged, that member bank can submit a student’s name. The names of the students are then submitted for a drawing to be held during the CBAI Annual Convention. The deadline for submitting the pledges and student names is August 15 of each year. Banks can contact the CBAI Department of Communications at cbaicom@cbai.com for nomination forms and further information. College juniors, seniors and graduate students who reside in Illinois may apply for the Elmhurst Garden Club Scholarship. This scholarship is specifically designed for those who are majoring in horticulture, biology, environmental studies, botany, and other science fields that are related to this area of study. The funding awarded is for tuition for the year applied. A completed official academic transcript sent directly from the school to the scholarship chairwoman must be submitted. Do a presentation at the Elmhurst Garden Club meeting about their major. Applicants must remain mindful of the deadline for receipt of all applications, which is July 1 of each year, because late applications will not be considered. The entire application must be typed or written in completely legible writing or again, it will not be considered. All pages of each attachment must contain the applicant’s full name and of course, applicants must meet all eligibility requirements. Any questions can be answered by Ms. Betsy Grimm at (708) 345-1236. Each member of the General Assembly can nominate two eligible applicants annually for this award that’s available to any Illinois student. The Assembly person can also split the award between several students with each receiving a one-, two-, or four-year scholarship but each prospective recipient must reside in that legislator’s district. These scholarships are for use only at state-supported universities and the interested applicants must contact their respective assembly person (Senator or Representative) to request information about the application process. This award is designed specifically for highly gifted students who rate in the top five percent of their class at the end of the third semester prior to graduation, or those who achieve scores on the ACT, SAT and the Prairie State Achievement Exams that places them in the top five percent of their class. The exact amount of this one-time award that’s considered on an annual basis depends on the budget and number of recipients. However, the award amount is usually approximately $1,000. It can be used at any state school in Illinois and the four U.S. Military Academies and one of the great aspects of this scholarship award is that students do not have to apply; they’re automatically considered when they meet the expected requirements. This scholarship program is federally funded and administered by each state and it’s awarded to the top students who have applied and been accepted as full-time students in state colleges. The annual amount of $1,500 is renewable for up to three years. There is no formal application process for this scholarship either as, like the Merit Recognition Scholarship program, students are automatically considered when they fulfill the eligibility requirements. However, this award cannot be used in any of the four U.S. Military Academies. A college education can be costly and since not everyone is an Einstein, not everyone will be eligible to receive a scholarship. Grants are available for those who may only be average achievers who wish to continue their education. These awards come from many sources and they help students who have to shoulder the financial burden on their own to lessen the cost of continuing education. Grants are gifts that do not have to be repaid and they can be federally or state-funded. There are grants in numerous categories such as resident state, ethnicity, minority group, type of degree and specific field of study. the household size of the student’s family, and number of family members who are attending postsecondary schools (parents not included). Assessment rates and allowances differ according to student status, i.e., dependent or independent, independent students with dependents and independent students without dependents. This is federally funded and awarded by the U.S. Department of Education. The decided maximum amount for the 2011-2012 year (July 1, 2011 to June 30, 2012) is $5,550 and the actual amount awarded is determined by financial need, the costs to attend school, whether enrollment status is full- or part-time, and whether or not the applicant will be attending school for the entire year. If the full awarded Pell amount has not been received by the student during the Fall and Spring terms, the student is entitled to receive the remaining balance during the summer. Once approved, Pell Grants are awarded through participating institutions who then deliver the award to the student. The funds are either credited to the student’s account, paid to the student directly, or a combination of both methods is used. Students must be paid either once per term or twice per academic year and awarded amounts range from $555 up to whatever the maximum amount that has been set for a given year. The Monetary Award Program (MAP) Grant is a state-funded award that’s given to students who are attending an approved Illinois college and who are classified in the financial need category after review of their FAFSA form. High school grades and test scores are not required when applying for this grant. Cannot have used the equivalent of 135 MAP Paid Credit Hours or more per term. To apply, students must complete and submit their FAFSA applications as soon as possible after January 1 but before the start of the academic year that begins on July 1. Students are urged to submit their applications as early as possible because due to the number of applications received and the amount of the approved funds allotted for a given year, grant funding is usually depleted before the filing deadline dates. The attending college will verify the student’s eligibility and they will also announce the award amount. ISAC works in conjunction with the colleges when it comes to the disbursement of all funds, as the college submits a payment request to them on behalf of the students after verification of their eligibility has been made. It could take up to 105 days for this process to be completed before students receive the funds so students should bear in mind that depending on the college, they may be responsible for all payments until the program funds are received (students should contact their college’s financial aid office regarding their specific policy on this matter). The MAP grant can only be applied to tuition and other mandatory fees, not for items such as housing, traveling or books. All awards are paid directly to the attending college and the total amount, with the inclusion of other financial aid received, cannot exceed the cost of attendance to the student’s college. Eligibility for MAP is tracked by MAP Paid Credit Hours, so it’s essential that students understand the details involved with this process. Thus, students should contact their Financial Aid Advisor if they have any questions regarding this requirement and visit www.collegeillinois.org for more detailed information concerning the MAP process. The Federal Supplemental Educational Opportunity Grant (FSEOG) Program is available to students with exceptional financial need and is awarded by the Office of Student Financial Aid. Students who have the lowest expected family contributions (EFC) and are recipients of the Federal Pell Grant are given top priority for this grant. FSEOG allocations are provided to eligible institutions based on institutional requests made using a legislative formula for program funding. The institutions then provide the grant funding to the indigent undergraduate students who will be attending that particular school and award amounts vary. This grant is funded by the University and awarded by the Office of Student Financial Aid and it provides financial assistance for students experiencing financial need. The award amounts vary and are dependent upon the administration and depletion of the funds during the financial aid application process. Also, determination of eligibility and award amounts is based on the EFC of each student. Students can’t have yet received a bachelor’s or professional degree. Undergraduate, post-baccalaureate, and graduate students are eligible to receive the $4,000 per year awarded by the TEACH Grant Program provided they agree to serve a minimum of four years as a highly qualified teacher in a field of high needs. This work must be carried out in a public or not-for-profit private elementary or secondary school located in an area where low-income residents live. This obligation is extremely challenging and possibly difficult to fulfill, so students are advised to only apply for this grant if they’re fully committed to doing the job. If the four-year stipulation isn’t completed within an eight-year term, then the grant will convert into a fully-payable loan that includes interest that will be calculated from the date the funds were distributed. Must be enrolled in one of the following teacher education certificate programs: Reading Specialist; Mathematics; Foreign language; Science; Bilingual Education and English Language Acquisition; or Special Education. This grant provides up to $4,000 per year for full-time students and for part-time students. The amount is pro-rated (proportionally divided). The Higher Education License Plate Program is open to students attending colleges and institutions who participate in programs that are funded by the sale of special license plates. This program provides $1,000 to $2,000 for up to 200 students who are attending college in Illinois. High school students are not considered (must be attending college). 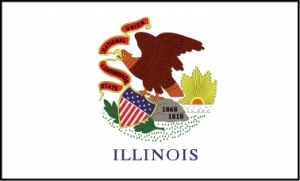 The Illinois National Guard Grant Program provides $1,300 to $1,700 awards to 2,000-3,000 undergraduate and graduate students who are members of the Illinois National Guard. The awards are used to pay tuition and fees at public universities and community colleges in Illinois. Must be a member of the Air National Guard and the Army National Guard. If attending for the full year, applications are due by October 1; if for the second and third term, applications are due by March 1; and for the summer term, applications are due by June 15. This grant program is specifically set up to assist dependents of police, fire and corrections officers who were disabled or killed in the line of duty. It awards $3,000 to $4,000 to cover tuition and fees for students attending approved Illinois institutions. Student must provide proof that he/she is indeed the dependent of a police, fire or corrections officer who was disabled or killed in the line of duty. The scholarships and grants mentioned in this article are only a small portion of all that are available. No matter what the career objective or what the financial status may be, Illinois students have access to an abundance of grants and scholarships that can be a tremendous assistance in helping them to fortify their ambitions and achieve even the loftiest of goals. Most importantly, students can be what they want to be and it can all be done without acquiring substantial debt. looking for scholarship money to pay for graduate tuition with a major in school counseling. Graduating high school Spring 2013. Have already submitted applications to accredited universities for an undergraduate degree. Please provide me with information for grants and scholarships. Thanks in advance. Graduating High School in May 2013 and have already applied and have been accepted to accredited universities. I would like to receive information on scholarships and grants. I am a single 55 yr.old african american male that is trying to go back to school I am already enrolled in school and do not have enough money to finish paying for my tuition I do work full time but not making enough to pay my out of pocket expenses for school I am desperately seeking help from anyone that can help me this has always been my dream to have my college degree so if there is any thing that can be done that can help me achieve my goal and dream I will greatly appreciate it.